The twilight days of December are upon us so, ahead of the New Year jollies and optimistic ramblings about 2007, UK Poker News takes a hurried look back over its publishing efforts during the year of 2006 – which has not been one of the quietest of periods in poker, it has to be said! Here, we consider some highlights from January to June. In January, optimism reigned supreme and online poker executives of quoted companies raked it in as their companies' profits continued to soar. The USA regulatory fears were there but generally no-one really believed that the politicians would release the guillotine upon the neck of online poker. Where was Nostradamus when we needed him most? Eyebrows were raised when we reported that Irish no-frills airline, RyanAir, was contemplating the installation of casino and poker facilities for its onboard passengers! Also in January, the Hendon Mob lost its pioneering sponsors, Prima Poker, while Simon Trumper also lost his sponsor, UKBetting; the share prices of 888 Holdings plc and other companies soared as speculation intensified about what Ladbrokes would be doing with its cash pile after the sale of the Hilton Hotel chain. Scotland pulled off a shock in January by winning the Paddy Power Poker Grand Slam in Birmingham; Rogue Trader Nick Leeson began winning at online poker; Lee Nelson won the Aussie Millions and Mads Andersen the EPT in Copenhagen. The Cavendish Club in Northern Ireland was raided and a question mark raised over the legality of poker in that part of the UK. On to February and Sweden's Mats Iremark secured the EPT in Deauville, France; Empire Online and Party Poker settled their heated legal dispute resulting in a huge $250m payout of cash to Empire (what good timing for Empire!). Betfair Poker introduced a super-satellite structure giving the winners the right to choose between WPT, EPT or WSOP main events as their prize; and Greg Hill told us in graphic detail what it was like for an internet qualifier (himself) to play in a live TV poker final. March was a month of launches: The Sportsman newspaper launched including a section on poker; Party Poker launched new software and Bluff magazine announced its European launch. Meanwhile, US college student Jeff Williams took down a fortune winning the EPT Grand Final in Monte Carlo and the first chill winds of political manoeuvring in the USA hit gaming shares hard as a Republican Anti-Gaming Bill was cleared for debate. Easter time in April saw one of the oldest poker tournaments, the Irish Open in Dublin, sponsored big-style by Paddy Power Poker with a guaranteed €1,000,000 purse. Victor Melinn took the spoils live on TV; Irish casinos also ran live satellites for the Ladbrokes Poker Million V; In a further sign of poker bullishness, Premiership football team Aston Villa announced a new two year shirt sponsorship deal with UK independent online room, 32Red Poker. The tabloids majored on alleged six figure cash losses at the poker tables by Manchester United golden boy Wayne Rooney; the much-trumpeted and subsequently problematic Showdown Poker Tour kicked off with the Hendon Mob all aboard; financial talk in the gaming sector centred on a possible $2 billion flotation of Pokerstars and Roland de Wolfe won over a million dollars coming third at the WPT Five Star Classic and so began a rewarding year for him. May was extremely eventful. The Hendon Mob fell in with Full Tilt Poker to add some cockney know-how to the Full Tilt stable of superstars which includes Phil Ivey, Gus Hansen, Mike Matusow, Jennifer Harman and countless others; The Showdown Poker Tour added Tournament Director Matt Savage to its roster and the first two sparsely attended events took place in London and Dublin. Yet another Scandinavian, Mats Gavatin, took the spoils at the Gutshot Club ahead of Barny Boatman, while Jeff Sharpe took the Dublin event down. We ran an interview with Barny Boatman and one with Mel Judah (who, later, in December made the final of the Poker Million V). To cap the month off, we also got a few words (ok, maybe more than a few) from entertaining Irishman Padraig Parkinson. We also carried an interview with a leading Student Poker representative, Chris Harvey, about the strength of poker in UK universities and colleges. UK Poker News also spent a day in May (thanks to Roy "The Boy" Brindley) at the filming of the Ladbrokes Poker European Ladies Championship and reported back. Meanwhile, virus scares abounded about a "Trojan Horse" running loose amongst online poker software systems and, in this same busy month, Poker Pro Europe became another poker magazine to hit the newsagents' stands in the UK. Back to football and MANSION signed a whopping four-year deal with Tottenham Hotspur to appear on their shirts. Also in May, 3D poker software was beginning to make itself felt and Paul "Action Jack" Jackson took down over €50,000 winning a big tournament in Barcelona. Like the Hendon Mob, Simon Trumper didn't let the loss of a sponsor stand in his way. He secured a WSOP sponsorship from upcoming UK poker room, Purple Lounge Poker. Still in May, cult TV show, Big Brother, announced an online poker venture while VC Poker introduced Premiership footballer and regular poker player, Teddy Sheringham, to the world as a VC representative. Finally, to June, was there room for a breather? Well, there was the World Cup in Germany, and poker did take second billing for the month. Despite this, 32Red Poker managed to find time to take over sportsbetting business BetDirect. In the Irish Poker Tour final, Brendan Walls took the spoils at the expense of Ram Vaswani and Mel Judah. The MANSION Poker Dome TV series kicked off on US TV with the UK's Rhowena Colclough being searched heavily on Google after her win in Episode 1. 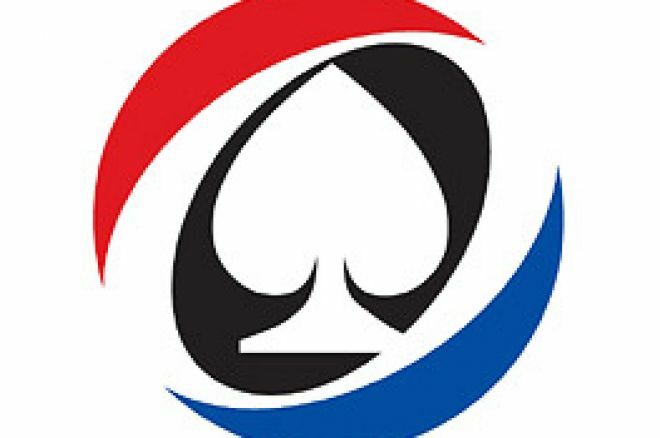 Party Poker's founding shareholders helped themselves to a further vast fortune from the sale of some of their shares, no doubt sensibly taking heed of the cold winds blowing from over the Atlantic. All the while, we had the great build-up of the largest WSOP series of them all with a $12,000,000 first prize on offer to the winner of the Big One. We also reported in June on pub poker leagues, the Padraig Parkinson charity poker event in Dublin and the commercial aircraft bedecked in MANSION colours. We ran an interview with Catman – The Poker Agent (who now writes for UK Poker News); and we reported the first whispers of a possible merger of UK casino chains. Finally, to end a hectic half year, we looked at the first mobile phone offerings from the Hendon Mob and reported that the Poker Channel was launching a free broadband TV service. And those were just some of the things we covered! Join us for more from a tumultuous second half of 2006! Ed note: Don't forget in 2007, by downloading MANSION Poker you can play daily $100,000 Guaranteed tournaments! $100,000 Guaranteed Tournaments Every Day at MANSION Poker!